4 mint leaves, 2 tsp elderflower syrup, Juice of 2 limes, 100ml tonic water, 40ml Chastity Seduction No-Sin Gin, 150ml sparkling water, Lime slices (to garnish). Crush mint leaves in a large wine glass. Add elderflower syrup, lime juice, tonic water, Chastity No-Sin Gin and sparkling water. Stir gently. 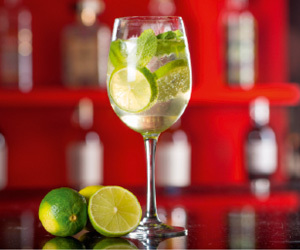 Add ice and garnish with lime slices and mint. 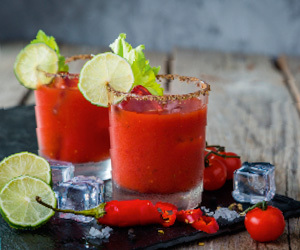 40ml Chastity Temptation No-Sin Gin, 120ml tomato juice, 2tsp fresh lime juice, Worcestershire sauce (to taste), Tabasco (to taste), salt & pepper (to taste), crushed peppercorns (to garnish), 1 celery stick to (to garnish), lime slices to (to garnish). Combine the Chastity Temptation No-Sin Gin, tomato and lime juice, Worcestershire sauce, tabasco, salt & pepper in a shaker with ice. Shake well to combine, pour into a glass that has been rimmed with crushed peppercorns. Garnish with a celery stick and a lime slice. 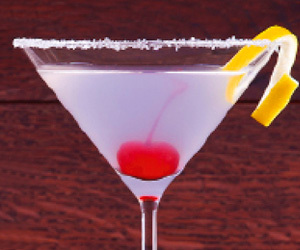 45ml Chastity Temptation No-Sin Gin, 15ml lemon juice, 15ml maraschino liquor, sugar (to garnish), 1 cherry (to garnish), lemon twist (to garnish). Add all the ingredients into a cocktail shaker filled with ice. Shake well and strain into a martini glass that has been rimmed with sugar. Garnish with a cherry and a lemon twist. 50ml Chastity Seduction No-Sin Gin, 150ml Indian tonic water, slice of grapefruit (to garnish), juniper berries (optional), rosemary (optional). Fill a cocktail glass halfway with ice. Add Chastity Seduction No-Sin Gin and tonic. 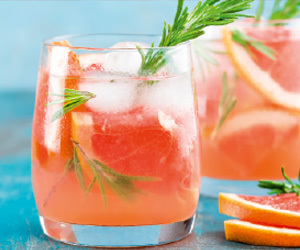 Garnish with grapefruit slices, juniper berries and rosemary (if using).